This E-Force Supercharger system is designed exclusively for the SKYACTIV®-G 2.0L engine. It's unique design allows for maximum flow, while retaining great daily driving characteristics. It has been designed from the ground-up and utilizes the Eaton® R900 TVS rotor assembly for maximum efficiency in a compact package. 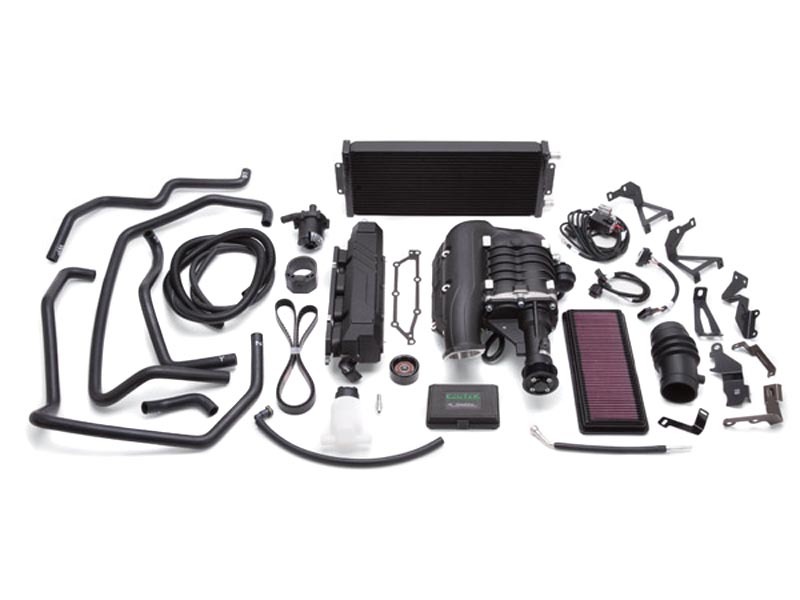 As with all E-Force superchargers, this system features an efficient high flow inlet configuration that results in a shorter, less restrictive intake path for improved air flow and performance. To cool the incoming air, is a large air-to-water intercooler and heat exchanger. All of these features help the E-Force deliver dramatically improved performance with a smooth linear power curve. Lastly, the supercharger assembly is finished with a durable black powder coating for a unique look that will let everybody know your car is E-Force powered! INSTALLATION NOTE: Supercharger systems sold without tuners are only emissions legal when used with the correct Edelbrock tune, which can be downloaded at www.edelbrock.com. For safety, the Edelbrock supplied program will retain the factory vehicle speed limiter setting. The heart of this supercharger is an Eaton Gen VI 900 TVS rotor assembly. This blower is engineered exclusively for the 2.0L SkyActiv-G I4 engine in the 2016 and 2017+ Mazda MX-5 Miata, featuring a compact design with a short low restrictive intake path for improved air flow. This kit fits under the stock hood. Full plug and play hardware, supplied with all fittings and hoses for ease of installation. 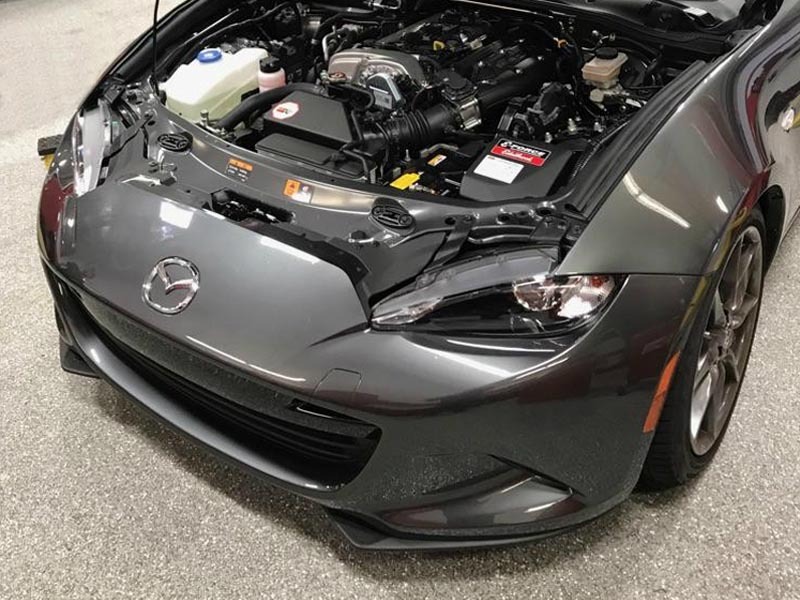 Edelbrock s Mazda MX-5 E-Force Supercharger Kit includes an integrated water-air intercooler, a self-contained oil system with a service interval of 100,000 miles. 50-state emissions legal and this CARB version (Carb approval pending) of the kit is covered by a 3-year/36,000-mile powertrain warranty. EATON 6th Generation supercharger rotor technology used in this kit is also found in such OEM factory installs as the Corvette ZR-1, the Cadillac CTS-V, and the Mustang GT500. Eaton Twin Vortices Series, or TVS, is a Roots-type supercharger for a variety of engine applications that delivers more power and better fuel economy in a smaller package, for uncompromising, high-performance driving. The TVS supercharger patented design features include four-lobe rotors and high-flow inlet and outlet ports that greatly enhance thermal efficiency, deliver higher volumetric capacity, and enable higher operating speeds. The TVS supercharger is capable of running with a high thermal efficiency (up to 76 percent) across a very wide operating range. The improvements incorporated into the TVS design allow for the use of a smaller supercharger, reducing the package size and weight of the system. All TVS superchargers have a 2.4 pressure ratio capability and a thermal efficiency that exceeds 70 percent, which enables more compact packaging and greater output. 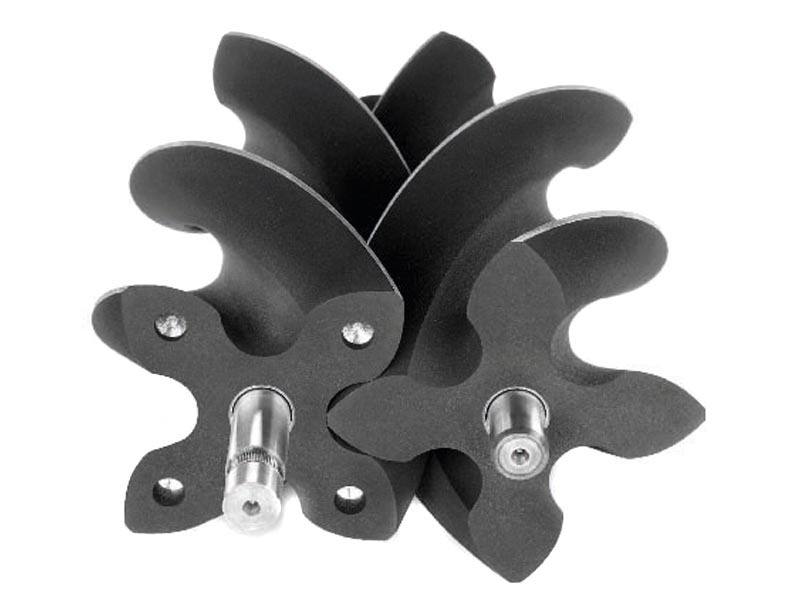 The twin four-lobe rotors feature 160-degree twists. The higher helix angle of the rotors coupled with a redesigned inlet and outlet ports, improves the TVS air-handling characteristics without increasing the overall size of the unit. The TVS design also features improved noise and vibration characteristics that eliminate additional noise-reduction treatment requirements, and reduce complexity and system cost. The TVS Roots supercharger sets a new standard of boosting device performance and reaffirms Eaton as the leader in OEM quality superchargers. The included CARB tune is a locked tune, that's the whole point and the only way it is CARB legal (Carb approval pending). We offer the hardware without the locked CARB tune for those not in CARB states. If you change the tune or the header your install is NOT CARB legal, etc. Tuner version ships to NON-CARB states only. 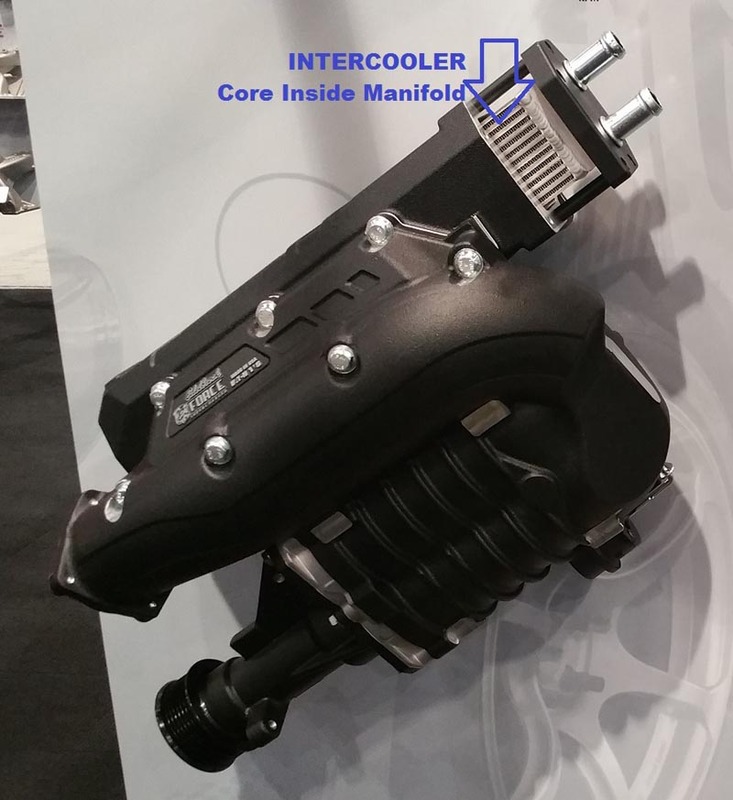 Unlike the turbo kits using an Air/Air intercooler at the front of the car which involves many feet of pipe and resulting big change in throttle volume (and some lazy throttle response), this supercharger setup integrates an Air/water intercooler in the manifold. Result is the most direct path for air from supercharger through the intercooler and into the motor for the most instantaneous throttle response possible. As a driver that means this setup feels like a bigger motor, instead of a small motor with boost merely bolted on. No lumps or bumps in power delivery, you get the smoothest and more instant power delivery from idle to redline and it feels factory installed. NOTE: The CARB tune with professional install gets you the warranty from Edelbrock. As a result, customers in non-carb states asking if the CARB 'canned' tune still works if they later after warranty add a header. Yes is the answer, it was tested and AFRs remain very safe and stable in the test (but note any header means NOT CARB any longer). Other reasons to consider the CARB canned tune is that Edelbrock had one of the best OEM tune Techs in the country spend over 100 dyno hours working this canned tune until it is as smooth in light driving as a factory tune. Thus, it might not match peak numbers of a customized tune because it was done with eye to emissions testing and passing, but customers doing custom are unlikely to invest enough hours to get the results as smoothly integrated as the CARB tune. Thoughts on TUNER kit versus CARB Kit. Our strong opinion is that most folks should get the CARB kit. Edelbrock has well over 100 hours of work in the CARB tune so that it is safe, effective, etc. The Tech who did the CARB work was former in-house tune guru for Ford MotorSports. It would be quite unfair to expect a Tuner with far less hours invested to turn a result as thoroughly integrated as the CARB tune. Some buyers have told us they feel they are 'saving money' by getting the Tuner kit and using tune setup they already have, and I think that view is not understanding the complexity of the tune process for adding boost, and undervaluing your time as the customer of this kit. Duplicating the smooth integrated off-boost and light boost feel of the CARB tune would take far more time than most of you are likely to invest with a Tuner actually sitting in the car on the dyno day after day after day...which is what it would take to really get the OEM integrated feel of the CARB tune. Will the guys buying the Tuner kit ultimately rate themselves as more satisfied with the results simply because their dyno numbers are higher? For some of you I expect a resounding 'YES' to that question because some of you like to fiddle, fiddle, fiddle with the tune. Or will the CARB kit guys express more long term satisfaction because the fiddle factor with the CARB tune is zero, they did plug and play....and got right to the play! I cannot answer the question for you, but I suggest it is the MOST important question to consider on Tuner vs CARB kit....and my opinion is that most folks are doing themselves a favor in just getting the entirely complete CARB kit. Edelbrock is so confident in the engineering, manufacturing, quality and proven performance of our E-Force Supercharger Systems that they back them up with an unprecedented new warranty. 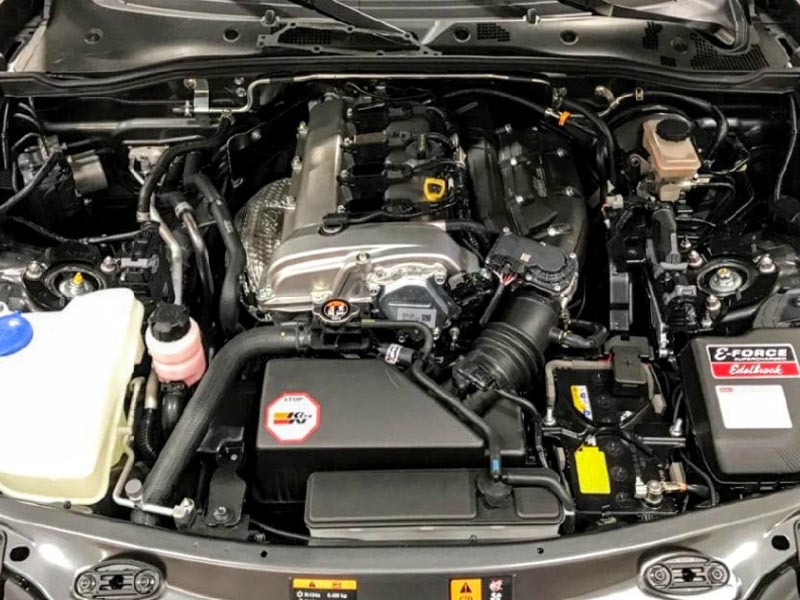 Edelbrock new Limited Powertrain Warranty will pay up to $16,500 to cover the cost of parts and repairs for engine, transmission and rear axle components if a warranted vehicle suffers a mechanical failure. 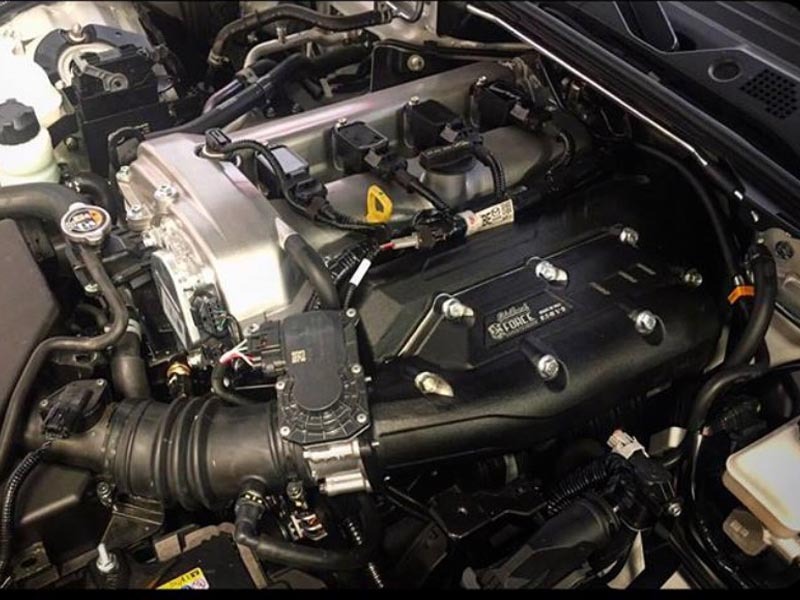 Now you can outfit your ride with an E-Force Supercharger and have the peace of mind that you'll be covered! Rental vehicle reimbursement for up to three (3) days or $105 Warranty coverage provided and managed by Edelbrock, LLC $1,000 value at no additional cost to you. ABUSE RELATED TO OVERLOADING, PCM RECALIBRATION, MISUSE, NEGLIGENCE, ROAD CONDITIONS, UNAPPROVED TIRE SIZE AND/OR TIRE COMPOUND, AND OTHER NON-EDELBROCK APPROVED MODIFICATIONS. EDELBROCK APPROVED MODIFICATIONS ARE LIMITED TO THE FOLLOWING: EXHAUST MODIFICATIONS BEYOND THE CATALYTIC CONVERTER (REFERRED TO AS CAT-BACK OR POST CAT); WHEEL AND TIRE MODIFICATIONS THAT ARE WITHIN FIFTEEN PERCENT (15%) OF OEM OR FACTORY EQUIPPED SIZE (MODIFIED TIRES ARE ONLY ALLOWABLE IF THEY ARE ONE HUNDRED PERCENT (100%) STREET COMPOUND). Power Pulse Exhaust for the 2016+ MX-5 is a deep, aggressive sounding aftermarket system for your MX-5 ND. Well-suited for daily driving use or weekend gear-ripping fun. This triple attenuation chamber design muffler is the most mild of our choices and mellow on an otherwise stock MX5 Miata...about 15% louder than stock...with a deep sporty burble anytime you hit the go pedal but quiet when you are just cruising. Twin Tip version of the famous SuperQ with triple attenuation chamber design muffler is the most mild of our choices and mellow on an otherwise stock MX5 Miata...about 15% louder than stock...with a deep sporty burble anytime you hit the go pedal. Special version of SuperQ with added 3.5 inch diameter resonator on the inlet to kill the RASP that is added with adding a standard length high-flow header to the ND. Just 11 pounds! A Revolutionary Helmholtz Chamber Race Muffler for Max Fun Without Drone! Stainless Steel ADJUSTABLE Sound MX5 Miata Exhaust. Add more torque and a little more sound with the all stainless top of the line RoadsterSport All Stainless Midpipe! All Mandrel bent tube with no tight bends to slow flow. Stainless Steel PREMIUM ADJUSTABLE MX5 Miata Exhaust. Helmholtz Chamber Design means All the FUN, without the DRONE Under 14 pounds! Gains 8hp in independent magazine tests! This is a modified version of the all Helmholtz Super Street muffler that adds small chamber dual tip muffler to add lots more user control with over FIVE different sound settings with the included MIXING BAFFLE.